From last minute deals to affordable family vacation in Costa Rica, Villa Thoga should be your first and only stop especially for Tamarindo Costa Rica vacation packages with a huge discount. Because we are the only vacation rental in Tamarindo which gives you discounts the whole year! Your vacation packages to Tamarindo Costa Rica include a 7 night stay in Villa Thoga close to the beach (250 meters) and 2 tours of your choice. Villa Thoga is an independent house which has 2 bedrooms with en-suite bathroom and king size beds. A fully equipped kitchen, TV/ Internet WIFI and a play station. Every room has A/C. 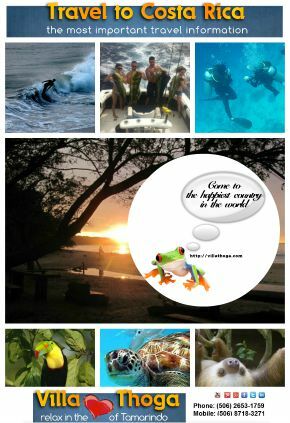 This excursion is locally operated and only a few minutes away from Tamarindo. Maximum driving time is 20 minutes. 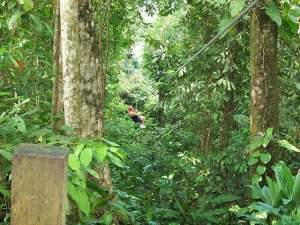 Tickle your adrenalin when zipping above the tree tops through the dry tropical forest of the Guanacaste Province. This tour includes overland round trip transportation, certified bilingual guides, cold water and a fruit snack. 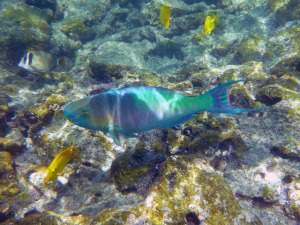 Motor Boat/Snorkeling: A thirty minute drive away from Tamarindo is Playa Flamingo where the boat departures to the Catalina Islands a volcanic rock formation a few miles offshore. This is the only tour were you will have the chance to snorkel in two different locations alongside divers. You will be picked up at your accommodation and driven to Huacas, a little town close to Playa Conchal, a beautiful white sand beach on the Gold Coast of Guanacaste. After a 15 minute drive, we arrive to the home of a local family where you will be greeted as part of the family and get the opportunity to share some of the local traditions with them. Watch the mother making authentic homemade tortillas on a traditional wood burning stove, enjoy a cup of freshly poured Costa Rican coffee, taste some homemade cheese and learn about our customs. As soon as we arrive there you will be handed a scented cold towel, bottled water and some fresh fruit. After that you will have some time off for either snorkeling or swimming. We have snorkel gear ready for you all included! Kayak/Snorkeling: This tour is one of the most popular activities, you get an excellent workout while enjoying beautiful scenery in Tamarindo Bay. 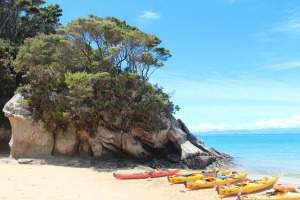 Once we get to the beach kayaks will be waiting for you equipped with life vests, kayak chair, snorkeling gear and paddles. 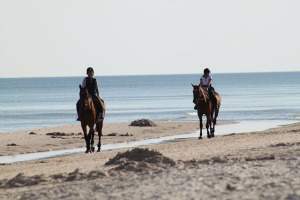 Brief instructions, safety tips and a demonstration on the beach will be given, and then you’ll start paddling to Captain Island which is about 15 to 20 minutes from the beach. Then you get to the island you’ll park the kayak and walk to the water with your snorkeling gear. After 45 minutes of snorkeling the guide will provide you with a bottle of water and fresh pineapple, and then you will get on the kayak, paddle back to the beach. Duration 2.5 Hrs tour. Departure Time: Depends on the tide. Kayak/Mangroves: This tour starts from Tamarindo estuary were you get an excellent workout while enjoying beautiful scenery in Tamarindo Estuary. Once we get to the beach kayaks will be waiting for you equipped with life vests, kayak chair and paddles. Brief instructions, safety tips and a demonstration on the beach will be given, and then you’ll start paddling in to the mangroves which is about 40 minutes from the beach. Were you having Good chances to see Monkeys, iguanas, crocodiles a big variety of birds After 45 minutes of Paddling the guide will provide you with a bottle of water and fresh pineapple, and then you will get on the kayak, paddle back to the beach. Duration 2. Hrs tour. Departure Time: Depends on the tide. Estuary Tour: Enjoy a two hour boat ride inside the Tamarindo National Wildlife Refuge Las Baulas. 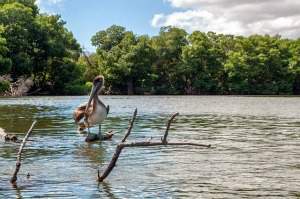 This National Park offers an incredible variety of watering birds, Crocodiles, Monkeys, Iguanas and five different species of Mangrove growth. On this boat ride you will be able to see a lot of local fauna all within minutes from Tamarindo. Departure time: depending on tides. LIKE YOU, WE HATE SPAM We never do it! We don't share your email with anyone else! 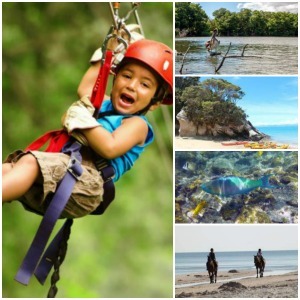 Affordable Family Vacations in Costa Rica? Where To Beach Vacation In Costa Rica? Is Playa Tamarindo The Best Beach In Costa Rica?